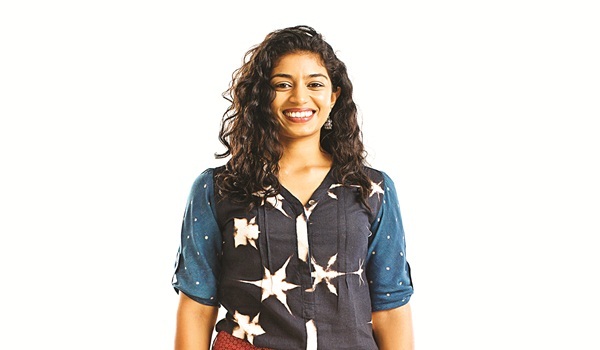 With no business, fashion or management qualifications whatsoever, ita��s impressive what the young Anaka Narayanan has managed to accomplish in the eight years since she started her label, Brass Tacks, with a small store in Chennai. The brand is known for its simple, yet elegant pieces made from natural, handcrafted fabrics, with a fit that is tailor-made for the Indian woman. Having built herself quite a fan following not just in her home city, but also in other metros like Mumbai and Delhi, thanks to regular pop-ups and exhibitions, Narayanana��s Brass Tacks now has a permanent address in Bengaluru. The standalone store, located in 12th Main Indiranagar is set next to The Humming Tree on the first floor. Not the greatest of locations, being on the first floor, admits the designer, but shea��s quick to look at the brighter side of things. a�?Ita��s on the first floor, which isna��t usually ideal for retail, but the space is charming and this gives us an opportunity to create a stunning facade thata��s visible from the street,a�? explains Narayanan, an economics graduate, who worked as an analyst in New York City, before moving back to Chennai to set up her label, known for its clean cuts and neat tailoring. Spread across 1,000 square feet, the neat little store boasts warm wooden interiors with nickel and brass accents. a�?Overall, the decor spells a�?stylish and modern with a youthful energya��,a�? says Narayanan. Brass Tacks Bengaluru opens with their latest collection, Banjara. Taking inspiration from the sartorial leanings of the nomadic Banjaras, the line focuses on geometric patterns, textures and colours that the tribe is known to favour. Narayanana��s clothes feature embroidered details, textured prints and motifs, right from the boxy crop top bearing camel-bird prints, to the collared patch dressa��a maxi style shirt dress with embroidered detailing at the button placket and a pocket detail at the hip. Another highlight of the collection is the Dhoti Dungaree. a�?Ita��s basically a pair of dungarees except they are made from khadi cotton and the bottom half is a modern take on the dhoti pant. The fabric has complex, embroidery-inspired motifs, and the bib sports panels of embroidered accents,a�? shares Narayanan. While shea��s currently busy with her new Bengaluru store, she soon plans to set up a larger outlet in Chennai and hopes to to find a permanent presence in Delhi and Mumbai.